Jeremiah Stewart, 16, was one of more than 50 youths who died in gun violence in the Kansas City area since 2016. His parents and a brother grapple with his death in their frustrating pursuit of justice and peace. Her 16-year-old son was simply late getting home, right? Rondine Taylor kept telling herself that as she drove her car through their Kansas City neighborhood, looking at every corner in hopes she’d see Jeremiah Stewart alive and laughing in the darkening summer night on June 25. But the yellow police tape and a swarm of lighted cop cars at a vacant house she’d passed kept drawing her back around the 3600 block of Wabash Avenue, circling like a moth. Her headlights plied one of the hardest-hit neighborhoods in the Kansas City region that overall has seen more than 50 children 18 and under killed by guns in the past three years. analyzing data from hundreds of gun deaths of children and teenagers in recent years. The Kansas City area’s deaths — intentional and accidental — stretched from Blue Springs to Overland Park. Targets and shooters were as young as 15. Even younger children died in crossfire. The greatest danger fell heavily on neighborhoods in Kansas City’s central core — where Taylor searched for her son that night. Just weeks earlier, she had pleaded with Jeremiah to move away with her somewhere like Florida. This was her youngest son, who made her laugh. A football player. He didn’t want to leave Kansas City but he’d promised her he was getting things right. Lining up a job. “Be safe,” she always said whenever they said goodbye. There was no reason after their last parting that morning for her to think that Jeremiah lay behind that police tape. But everything she feared, all the violent ills that confound police, schools, civic groups and health officials, were bursting upon her. Tears already flooded her eyes when she finally stopped and asked. She knew her son was lost before the man behind the tape told her. Youth gun violence is a public health problem, said Kansas City Health Department Director Rex Archer. The causes have been long-festering. The effects wide-ranging. “We still haven’t healed,” he said. And there is no sign of it slowing down: Before the end of January, the Kansas City area already counted four more homicide victims under the age of 18, dead from gunfire in the new year. Another teenager died in an apparent accidental shooting. No community is immune to the danger. Deaths fell on both sides of the state line, in urban and suburban neighborhoods, and across racial lines, with by far the heaviest toll ravaging high-poverty neighborhoods. The Star’s annual list of homicides for 2016 named 15 gun victims who were 18 or younger. Another 15 died in 2017, 19 died in 2018 and four more just in January in 2019. By city, since 2016, 32 happened in Kansas City, 11 in Kansas City, Kan., three in Independence, three in Blue Springs and one each in Grandview, Olathe, Overland Park and Raytown. Seven children who were 9 or under died from stray bullets and accidental shootings. Intentional, targeted killings started hitting at the age of 15 — with nine killed at that age since 2016. Gunfire took the lives of eight 16-year-olds, and killed 29 youths who were 17 or 18. Statewide numbers gathered in the national reporting by McClatchy and The Trace counted 159 deaths of school-aged children in Missouri and 36 in Kansas from 2016 through 2018. In Kansas City more than 50 percent of the youth deaths by gunfire happen in five of the city’s poorest ZIP code areas, according to the Kansas City Health Department. The high-risk area runs along a corridor north to south between roughly Prospect Avenue and the Blue River, and then into southeast Kansas City between the Triangle and Raytown Road. In these and surrounding neighborhoods, Archer said, an array of health risks from decades of redlining, blockbusting and white flight consigned generations of poor children to increased exposure to lead poisoning, asthma and malnutrition. Impulse control, restraint in aggression and education all suffered, he said. Archer drew two lines — an X and a Y axis — on a sheet of newsprint. The horizontal line, marking the justice system, stretched from punishment and revenge on the left to restorative justice on the right. The vertical line, marking how individuals react to violence, stretched from non-violent conflict resolution at the top to violence, fear and intimidation at the bottom. Young males in these battered communities are growing up in a dangerous quadrant of anger and revenge, Archer said. They are disproportionately suspended from school as children and imprisoned as adults, leaving young males alone until they return, often more learned in crime and hate. Add in an explosion of stolen firearms distributing guns to violence-prone streets. Kansas City police reported 886 guns stolen in 2018 — a 70 percent increase from 521 reported thefts in 2014. Violence, Archer says, clusters and spreads like a disease. On door after door, Calvin Stewart went knocking the day after Jeremiah died. Looking for answers. The father knew he couldn’t unfire the bullets. He couldn’t change the course of his son’s steps. He could, however, piece together what happened, he thought. Maybe there could be some accounting for his son’s death. “But no one says anything,” he said. The case remains under investigation is all the police can say. No information has been released about any suspects. 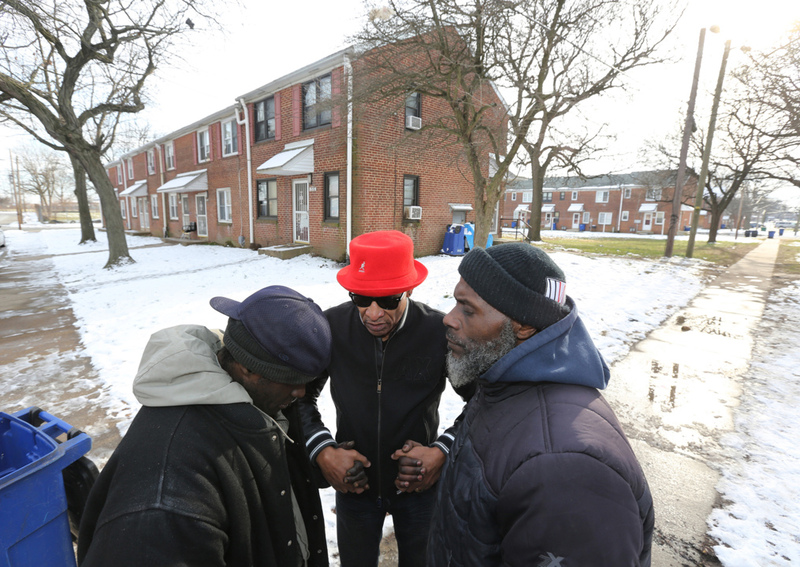 The father found one woman near the vacant house where the shooting happened who told him she’d seen Jeremiah walking with Demonte Walker, the 15-year-old friend who died with him. There were other youths who came. She heard a pounding on boarded doors. She heard the gunfire. But she knew nothing of who they were, or wouldn’t say. The people who hang outside, who are around all the time, somehow never see anything, Calvin Stewart said. He feels Jeremiah’s presence in these moments when he’s trying to imagine justice and an end to gun violence. He learned from Jeremiah how you can feel someone flitting by in the air. Jeremiah had his troubles. He was arrested two years ago as one of several teens running from a robbery scene in Westport and he spent some time in detention, his father said. But he was loved by his friends, he said. He was strong and respected, a good listener and thoughtful. The house and the alleyway where Jeremiah and Demonte were killed stood boarded-up and strewn with litter when Calvin Stewart returned there recently with Jeremiah’s 21-year-old brother, Jordan Stewart. While they talked, groups of boys ran by more than once, running through yards and between houses in unknown games. It’s painful to be back, Jordan said. It’s hard and frustrating to imagine that youths, not much older than these running boys, have guns. At the age of 15 Jesus Reyes displayed skills beyond his teenage years. A recording rap artist. A master of graffiti art. A dazzling skateboarder. He was the “protector” of his family — his mother, younger sister and two little brothers — in Kansas City’s Northeast neighborhood. But on April 16 he also meant to be a gun buyer. Instead he was shot dead by another teen with a Glock 27 that he and a friend were about to purchase. His mother, Dora Reyes, said she doesn’t know why Jesus and his friend wanted the weapon unless it was to match the firepower of so many others with guns. Jesus Reyes was 15 when he was gunned down while trying to purchase a firearm. His family and fellow artists mourn the death of a teenager who was one of more than 50 youths killed by gun violence in the Kansas City area since 2016. Her friend, Tamira Oviedo, who was translating for her in Reyes’ home, had gotten her own teenage son out of the neighborhood months before and moved north of the river. But she wept now with Reyes, grieving in the unshakeable belief that she had taken Jesus’ “safe house” away. Instead, Jesus rode with a friend in a car, meeting two other youths at 16th Terrace and Bennington Avenue. Court records in pending criminal charges allege that once money was handed over, one of the sellers instead opened fire on them — killing Jesus. A terrifying scene. None of them older than 16. The women wrapped themselves in each other’s arms, cheeks against shoulders. Weeping over “pistolas.” Weeping over guns. She has surrounded herself with his pictures, his art, his music and the portraits fellow artists gave her memorializing Jesus. She is comforted by so many people remembering him. His face looks back at the city now from murals that artists have painted on brick and concrete walls. His name is emblazoned in graffiti art on a box car now crossing the country. But Dora Reyes and Oviedo want a legacy in his death that locks the guns safely away, that takes the illegal sales off the streets and breaks down the street’s mentality of fear and intimidation. They don’t know the children who have died in the Kansas City area just this year, but they know the shooting goes on. Joining Reyes’ son in childhood deaths: Arkests Grant, 17, of Kansas City, Bradley Samsel, 18, of Tonganoxie, Ben Workman-Greco, 17, of Overland Park, Fernando Perez, 17 of Kansas City, and an unidentified 17-year-old Smithville teen killed in an apparent accidental shooting. “A lot of moms are suffering the way I am suffering,” Dora Reyes said. When the visitations were done, the words of the preachers completed, the caskets closed on Jeremiah Stewart and Jesus Reyes. Jeremiah was cremated, Jesus interred at Brooking Cemetery in Raytown. Rondine Taylor packed up and ran away to Florida — going alone in the escape she had wished to make with Jeremiah. She thought it was what she needed. And maybe the person that she had been — shy and soft-spoken — would have stayed there in her plaintive search for peace. But she realized she was changed. Jeremiah called her back to Kansas City, she said. Justice called her back. 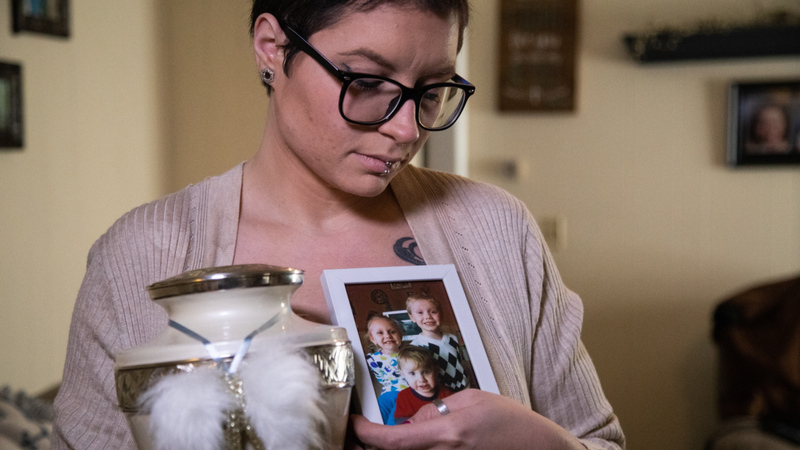 She wants to urge people who know what happened to her son, and urge those who know about other crimes of violence, to take courage and go to police or call the anonymous tips line — 816-474-TIPS (8477). She wants to work with community groups. She wants to intercede in the lives of teenagers who would grip a gun in their hands.